No, the title does not refer to some of those dodgy hotels you use to find in some areas of most cities, but to a wonderful display by Abbott Community Primary School. We all know that attracting wildlife can be beneficial to our gardens and whilst the first insect we often think of are the ones which do damage to our plants and crops, there are so many that can be attracted which are beneficial. Such as lacewings, ladybirds, hover flies and spiders. 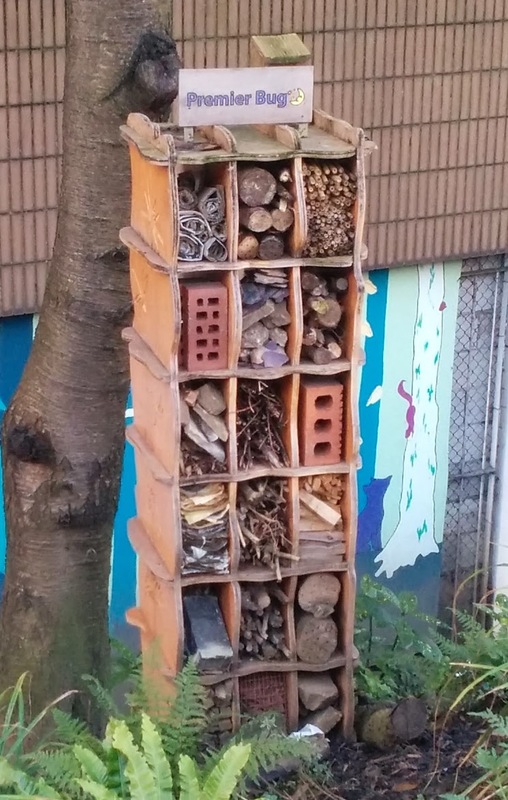 I have considered having an Insect house in my garden although never with any great intent. At least that was until today. 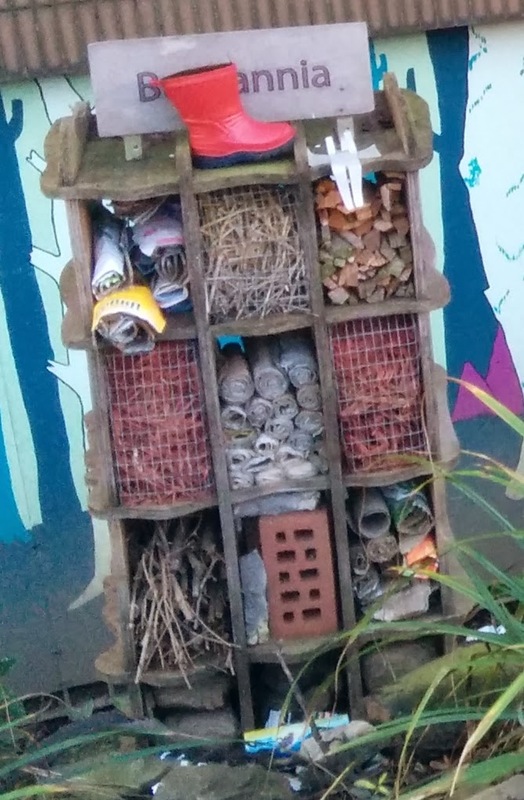 Whilst walking through the Northern Quarter in Manchester this morning I came across the bug hotel district. These are next to the multi storey car park opposite the Millstone pub. The one on the left is about four feet tall. The one below about two feet. I think scaling the insect houses up is a great idea and will be adding one to my garden at some point.